J. H. Hamilton was born on 18 May 1935 in Worcester where he attended school at the Boys High School. 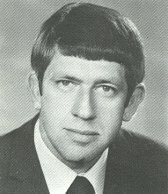 and at Unisa (BA) in 1965. J. H. Hamilton served as professor in Pedagogic Psychology at the University of Stellenbosch. I need a photo and more information, please!